*To register your team for CURLSASK Playdowns, please click here. Saskatoon Nutana Curling Club Oct. 12-14, 2018 2002 Arlington Ave.
Regina Highland Curling Club Nov. 9-11, 2018 348 Broad St.
Estevan Power Dodge Curling Centre Nov. 30 - Dec. 2, 2018 811 Souris Sve. Wadena Curling Club Dec. 7-9, 2018 401 2nd Ave. Swift Current Curling Club Jan. 4-6, 2019 2001 Chaplin St.
FOR TEAMS TO BE ELIGIBLE FOR A PROVINCIAL BERTH AVAILABLE AT EACH SCT EVENT, THE TEAM MUST REGISTER FOR MEN’S PLAYDOWNS WITH CURLSASK BY THE ENTRY DEADLINE FOR THE EVENT! Teams wanting to accumulate points toward either the CTRS Saskatchewan Provincial berths, must register for the Canadian Team Ranking System (CTRS) through Curling Canada (CC). Teams that register by November 5 with CURLSASK will accumulate all points for the season for the SCT Berth and CTRS Berths. Any team registering with CURLSASK after November 5, will accumulate points from date of registration forward. CTRS Points and Calculations can be found on the Curling Canada Website. *Registered Team = registered both in CTRS AND CURLSASK Men’s Playdowns. See Registration Tab. Teams wanting to be eligible for a Provincial Berth available at each SCT event, the team must register for Men’s Playdowns with CURLSASK by the entry deadline for the event. Teams that register by November 5 with CURLSASK will accumulate all points for the season. Any team registering with CURLSASK after November 5, will accumulate points from date of registration forward. 1) All SCT Events will now be using the Five Rock Rule! 2) All teams will be required to comply with Curling Canada’s Brushing Moratorium at SCT events! a) 10 points for first, 7 points for second, 5 points for 3rd and 4th, 3 points for 5th through 8th. To accumulate points for either the SCT or CTRS tankard spots, each team must register the following information with the SCPA and CURLSASK by noon on November 1. This information must include the following: team personnel, position, and home club. be a member in good standing of a member club of CURLSASK. c) New teams can be registered at any point throughout the year; however, no points will be brought forward. d) Teams that enter Playdowns must play out of their designated club. e) To accumulate points, a minimum of 4 ends must be played in bonspiel finals. f) In extenuating circumstances a SCPA executive member must be consulted to rule before a game is cancelled. Any final not played due to weather, injury, etc…, that has been approved by an executive member, will result in the prize money to be split and ONLY 7 points awarded to each team (NO first place points will be awarded). g) In the event one team defaults a final they will receive 5 points only, ONLY second place money and the other team will receive 10 points and ALL of the first prize money. If both teams decide to NOT play without prior approval from the SCPA Executive both teams will be awarded 5 points and ONLY second place money will be awarded to both teams. Extra money is to go to the bonspiel committee. Under any circumstance, if the first place money is split, NO TEAM shall be awarded 10 points. Please take note of the items in bold, as they are new or important. a) Triple knockout or modified double knockout draw. Draws will be completed by a member of the SCPA Executive committee. b) Entry fees for all events will be $600 ($300 for junior teams). This will include the $50 SCPA fee and the $50 bonspiel hosting fee. The entry fee must be paid in full upon registration for an event. A team will not be considered entered into the bonspiel until the entry fee is received by the organizing committee of the host club. Registration forms will be available at any host club. * If a junior team qualifies for the playoffs, the $300 difference from the regular fee will be DEDUCTED from their winnings. c) Refunds will not be given to teams that drop out after Friday the week before the event or to teams that fail to show up for an event without the approval from both the host club and the SCPA. d) There is no minimum or maximum number of entries. f) By noon the following day the host bonspiel must return the “results” page to the SCPA for reporting on the Points Race to CURLASK, media,etc. g) By Wednesday of the following week host clubs must remit payment of SCT fees collected to the SCPA’s designated contact. h) If the event qualifies for Curling Canada’s CTRS standings, the bonspiel committee is encouraged to submit these results to the CTRS committee. a) All games will be 8 ends. Extra end (s) to be played in event of a tie. b) For non-playoff games, a coin toss will take place 20 minutes prior to the start of each game. Team on the top of the draw to call. Winner of the toss can take choice of practice time (1st or 2nd) OR rock color. Loser of toss to choose from remaining options. c) For non-playoff games, practice time will consist of EACH player throwing 1 rock up and 1 rock back. At the conclusion of these 8 rocks, the team will choose 1 player to throw a draw to the button towards the home end with full sweeping. The rock will be measured, from 0” (0cm) (covering the pinhole) to 12 feet (185.4cm). The team with the shortest distance will receive hammer in the 1st end. d) For non-playoff games, if the team with first practice records a distance of 0 or 185.4cm, another player from that team (different from 1st player) shall throw one more stone to record a second distance to be used if ties occur. If the second player to deliver records a distance of 0 or 185.4cm, another player will deliver a 3rd stone to be measured. In the event of a there being a tie after both teams have thrown 3 draws a coin toss will determine hammer with the team on the top of the draw calling. e) For playoff games that involve a team that received a playoff bye, the process from b), c) & d) above will be followed. f) For all playoff games not covered in e), if one team has fewer losses, they will have the choice of rocks or hammer, but not both. The other team will have the other choice. The team with hammer will have first practice. g) If both teams have the same number of losses, follow the same procedures as b), c) & d) above. h) Teams must have a minimum of 3 players present at their practice time or they will forfeit last rock in the first end of play. Someone must hold the broom for all measured draw attempts. i) Access Communications may be televising the final and, in some cases, one semi-final of select events through the season. The list of clubs will follow when available. Skips and one other player may be asked to wear microphones and/or do post game interview; please comply with these requests. j) Please ensure that a minimum of six ends are played in all televised games. k) With television equipment being fixed for Access events, there will be cases where one semi-final and the final will be played on the same sheet. In these cases, the team in the final that did not just come off that sheet will be permitted an optional 10-minute practice with both sets of rocks on the final sheet at the conclusion of both semi-finals and prior to the sheet being prepared for the final. Both teams will then get the standard 4 rocks up and down practice prior to the final. l) For all other rules consult the CURLSASK Men’s Competition Page. 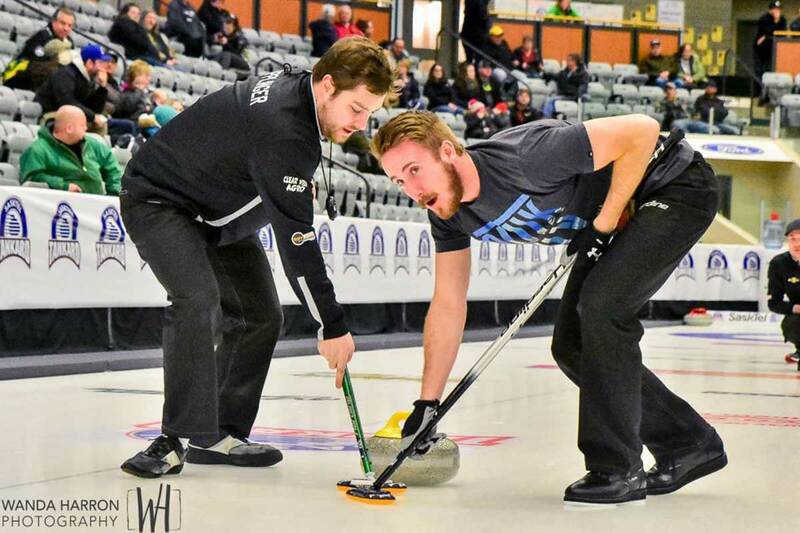 NOTE: CURLSASK OFFICIAL RULES GOVERNING THE PROVINCIAL MEN’S COMPETITION WILL TAKE PRECEDENCE OVER THESE GUIDELINES IN THE EVENT OF A CONFLICT. a. The Saskatchewan Tour Players Championship will be a 16 team invitation only event. 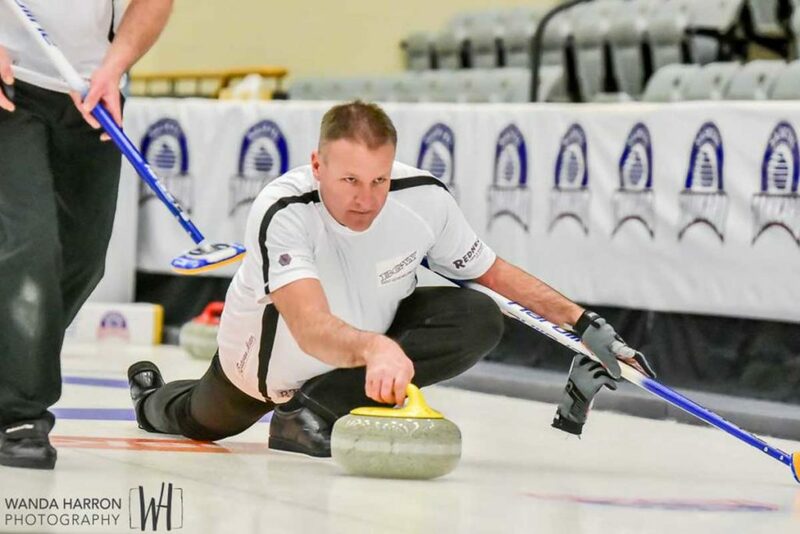 All Men’s teams that competed in a previous SCT Event are eligible for an invite, you DO NOT have to be registered in CURLSASK playdowns for the current season. a. All participants must be affiliated members of CURLSASK. Team rosters need to be declared through CURLSASK on-line registration. Competition Fee, including the Curling Canada Fee, must be paid to the CURLSASK Office or through on-line registration, by November 1st. Points accumulated prior to November 1 will count only if fees and registration are completed by November 1. Registrations received after November 1 will allow the team to accumulate points only from date of registration received. b. All participants must be affiliated members of CURLSASK. Team rosters need to be declared through CURLSASK on-line registration. Competition Fee, including the Curling Canada Fee, must be paid to the CURLSASK Office or through on-line registration, by November 5th. Points accumulated prior to November 1 will count only if fees and registration are completed by November 5th. Registrations received after November 5th will allow the team to accumulate points only from date of registration received.